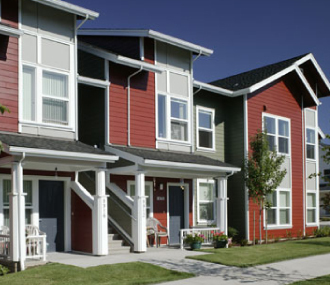 Since 1971, the Urban Land Institute (ULI) has been publishing case studies describing the development process of projects that are both innovative in their markets and financially successful. The ULI documents best practice and publishes books to impart cumulative knowledge to help the development community continuously improve its performance. 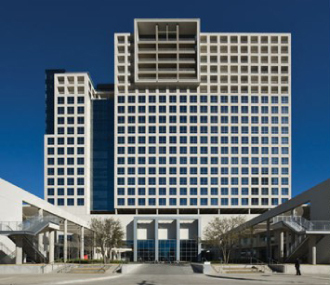 Sitting amid buildings designed by world-class architects in the Dallas Arts District, One Arts Plaza comprises 498,000 square feet (46,266 sq m) of office space, 61 condominiums, five restaurants, and 7-Eleven’s corporate headquarters. 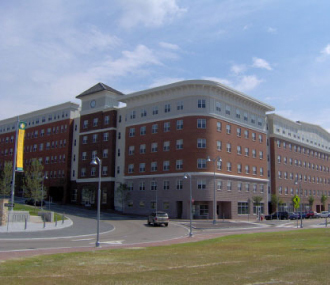 An effort to create a new urban core, the 20-acre (8-ha) Winooski Falls brings 50,000 square feet (4,645 sq m) of street-level retail space, 126,000 square feet (11,705 sq m) of office space, 84 university housing units, 213 mixed-income apartments, and 234 condominiums to downtown Winooski, Vermont. Designed to create community space, preserve views, and make the most of challenging typography, Corbett Crescent/Bancroft Condominiums, located in Portland, Oregon, consists of a 22-unit, four-story condo building and 31 townhouses arranged in a crescent-shaped layout. 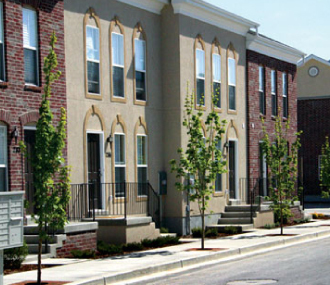 What was once a brownfield in a blighted area of the Salt Lake City suburb of Murray, Utah, now accommodates 119 Federal-style brick townhouses priced for working-class buyers. 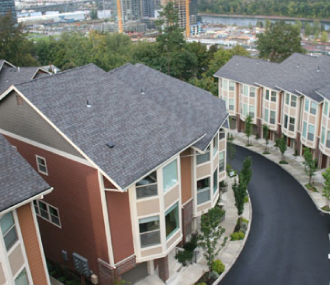 Once an aging, distressed public housing project in Portland, Oregon, New Columbia is now a HOPE VI development that features 854 mixed-income residential units, a commercial "main street," an elementary school, and a Boys & Girls Club.